Fleet Feet Lawrenceville Monthly Brewery Run! Love Running? How about a little adult beverage here and there? Then you may love our monthly Brewery run at Slow Pour Brewing Company! The run will not only include a 3 mile route but will also be sponsored by one of our run specialty vendors! Every run is FREE and open to anyone who has an interest in the event. Give us a call at (770) 338-2996 or keep an eye on our Events calendar to see who will be sponsoring this months event! We will meet at Slow Pour Brewing Company - so stop on by and keep an eye out for the Fleet Feet table, as well as the month's vendor tent. You don't have to sign in, and yes it IS free! ﻿The run will start at 6pm ﻿- so make sure to arrive a few minutes early to have time to chat with our vendor and get the latest news on what's coming next! ﻿Be ready to have fun and to run hard ﻿- But remember that this is for ALL levels, and you should take a comfortable pace while on the run. 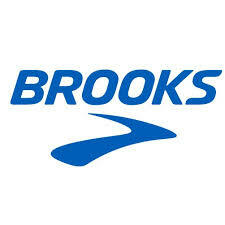 February's Sponsor will be Brooks!